Recently, I’ve had the opportunity to think about what it means to be a member of a supportive community. The beloved cafe in my new home town has experienced a misunderstanding with the town council over patio space. The short term result has been for the cafe owners to take a vacation and recharge. It isn’t just that we are missing the excellent espresso and St. Viateur bagels. It is that we are missing the people we get to see on a daily basis. That’s the thing about a small town: if you’re feeling lonely or needing a wee break you know you can head down to the cafe and have a chat with folks. In the meantime, I’ve witnessed a community of care rally to try and rectify the situation for everyone. The aim, it seems to me as a newcomer, is simply to make our town better for the whole community. What does this have to do with academia? It is fall, and as jobs are posted, the MLA job list opens, and grant application deadlines seem to be running straight towards us rather than looming in the distance I’ve found myself wondering once again what a community of care in the academy might look like. Sure, these communities of care happen on a micro-level: reading groups, friends, small trans-university networks. I can think of many times when these communities pop up on a smaller scale. For example, having someone offer to show you his successful grant application as you write yours, having a mentor offer advice about where to send those revisions, talking with friends and letting of anxious steam, having a colleague offer you letterhead so you can continue to apply for jobs, having an institution offer you adjunct status to allow you to apply for grants: these are all small-scale instances of care within the academic community. But what might it look like to create large-scale communities of care in the academy? What kinds of specific structural changes could happen at the classroom/ departmental/ faculty levels? What kinds of changes might happen if we — and by “we” I mean those of us working in the academy in full- part- and precarious-time positions — simply to make things better for the whole community? I have a confession to make: I am not exactly, at this precise moment, engaged with “the university.” I raise this point because many of my recent posts have had nothing to do with working as a woman in the academy. This is in large part because I found other, more pressing things to talk about, but also because I don’t necessarily feel much like a woman in the academy these days. You see, as the very clever Aimée Morrison once put it, I am “between academic positions” at the moment. I am still doing research and writing like crazy, but I’m not teaching, not employed by an academic institution, not part of a research centre – I’m mostly just writing from home and quilting (seriously, there has been SO MUCH quilting…). I’m not complaining. Come month’s end, I will have 0 essays to grade, and in mid-April I will actually celebrate my birthday rather than frantically read final exams. I’m lucky to have this time away. Its like a sabbatical, only it is a consequence of the precarious labour environment for sessional instructors, rather than a deserved research leave from a great job. I’m struggling because my life has been defined by the university for a very long time. I went straight into university from high school, straight into a MA from undergrad, straight into a PhD from my MA, and now here I am – out. I haven’t actually celebrated my birthday on (or near) my actual birthday for years! I mean, who has time for a birthday in mid-April!?!? The issue is that grad students are socialized – by institutions, supervisors, and each other – to define themselves by their academic affiliations. There is no world outside of your academic world. If we don’t have an institutional prospect in the form of a postdoc or a tenure track position waiting for us post-defense, we panic. I mean, seriously, what am I supposed to write under my name right now? Really and truly, I’m not complaining. 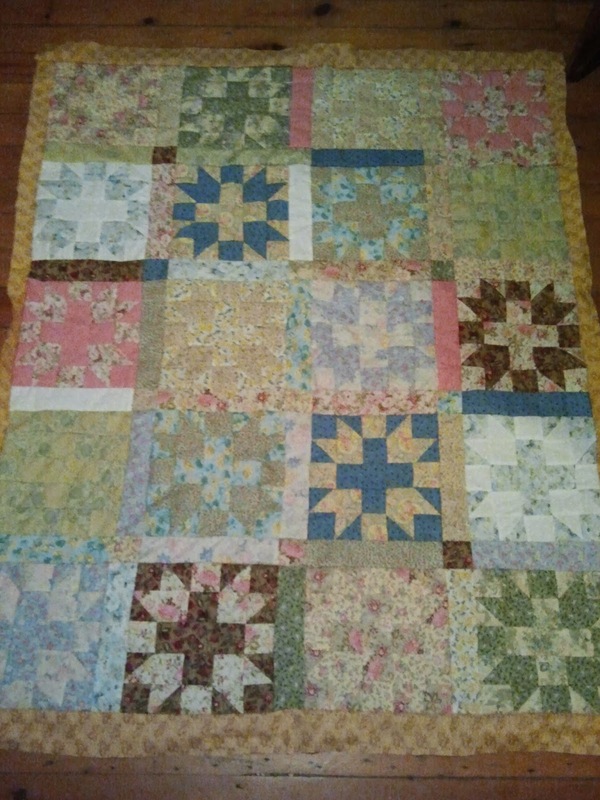 My quilt is looking pretty awesome and I cook all the time. I have sent two articles off for review this term and have a couple more that I am diligently working on and hope to finish by the summer. I’m getting some good work done. BUT… I do think that as fewer and fewer PhDs leave school and move directly into academic track jobs, we need to have a better strategy in place to bestow some kind of identity that is not grounded in our ability to acquire university letterhead.